Feeds send data from RetailOps to your sales channels such as Channel Advisor, Magento, and Spree. 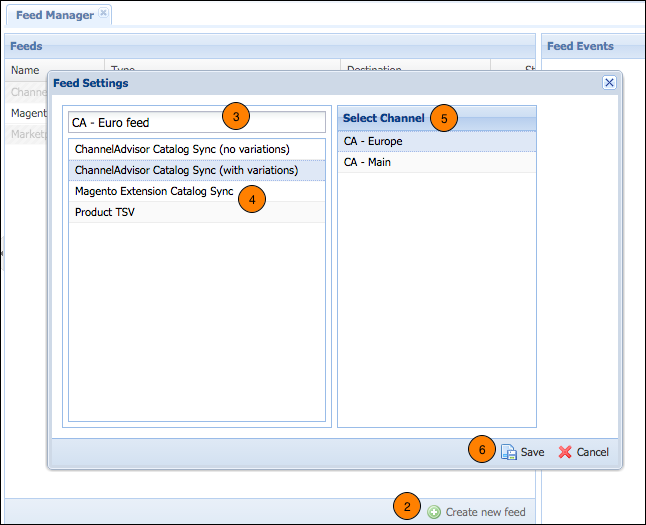 After creating the feed, you must configure it in order to send the correct data in the format required by the channels. Navigate to Administration > System Config > Feeds. Press the [Create new feed] button at the bottom. In the top-left corner of the Feed Settings window, enter a name for the feed. Select a feed type from the list in the left column. Select the Channel. You may only select channels compatible with the feed type selected.